Paper has been manufactured in the town of Neu Kaliß since 1799. Where there was once a paper mill, a modern company by the name of Neu Kaliss Spezialpapier now stands. The company today is specialised in the manufacture of specialist papers and nonwoven materials for industrial applications as well as for processors and sellers of paper products. The range of nonwoven materials offered includes, in particular, nonwoven wallpaper, conductive nonwoven fabrics and solar nonwovens. 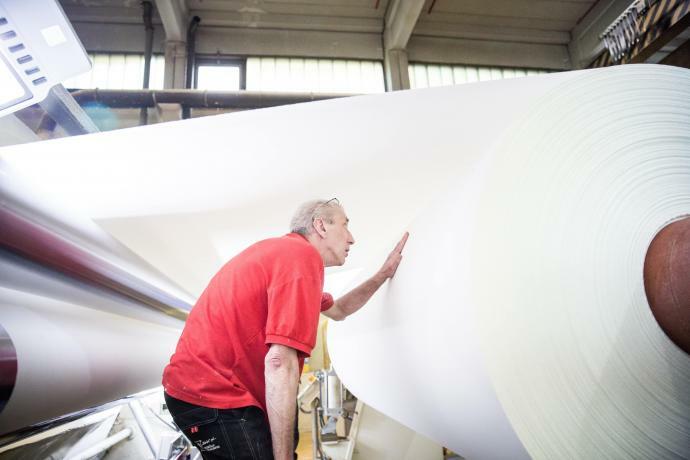 In its paper operations, Neu Kaliss / Neukölln Spezialpapier produces and processes coffee filters, beer glass and cup drip catchers, crêpe paper for dental applications and commercial bakeries, udder paper and humidifier paper, among other things. On the market for nonwoven wallpaper, Neu Kaliss / Neukölln Spezialpapier is one of the five largest suppliers worldwide. The unit supplies products for both the mass-market and the premium segments. The products manufactured and processed by Neu Kaliss / Neukölln Spezialpapier feature production to individual, in part exclusive, customer specifications via cutting-edge technology and to high quality standards.